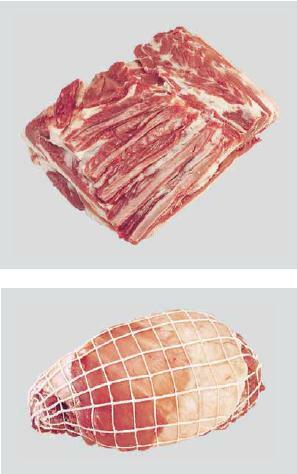 Meat Uruguay - Natural, Quality & Certified Food for Export | Square Cut Shoulder. Boneless Square Cut Shoulder isprepared from a Bone-In Square CutShoulder (item 4990) by theremoval of bones, cartilages, lymphglands and visible sinews andligaments. 5050 a – Rolled and netted.